A beautiful 19th century giltwood mirror, retaining all the original water gilding and the original mirror plate. Having classical decoration to the surround with a fanned pediment. 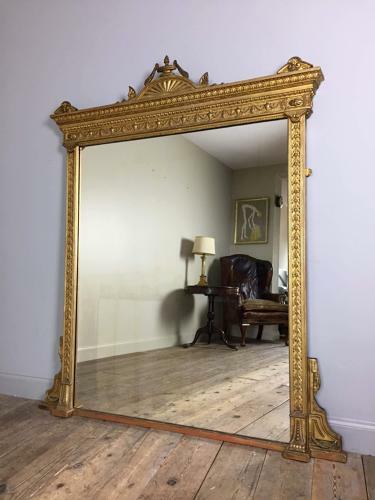 This superb mirror in wonderful untouched condition with original panelled back. English, Circa 1860. Dimensions: Height: 170 cm (67 Inches), Width: 145 cm (57 Inches).